We have a confession to make. Although we think about food, recipes and cooking non-stop around here, when it comes to feeding our families on the daily (turns out that although Instagram loves cookies, sadly, you can't survive off of them!) we inevitably find ourselves scrambling to get something on the table each weeknight. Enter our latest tool in your (and our own!) meal planning arsenal: Make this Now! We can't promise it will ensure that you stop hearing (or asking yourself) "What's for Dinner" but it will arm you with the recipes, tips and shopping list you need to pull off a weeks' worth of meals. If you are cooking for only one or two people, divide this recipe in half and freeze one portion unbaked. Pop it in the fridge the night before you want to enjoy it again for a home cooked meal on busy weeknight. For more tips on make ahead freezer friendly meals, see here. 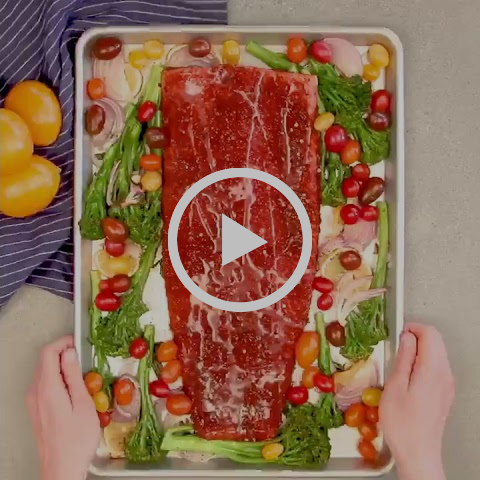 This recipe can easily serve 6-8 people (depending on the size of your side of salmon, but as a general rule consider 6 oz per person), but the method would not change if you wanted to scale back on the amount of salmon to just feed one or two people. We suggest doubling up on the broccolini so you can use it later in the week (you can always toss it on a separate baking sheet if space is an issue). Feedfeed Tip When storing pre-made meals in the freezer, make sure they are completely cool so condensation does not form and the freezer temperature is not compromised. We like to let food sit in the fridge overnight to ensure it is chilled, then wrap it tightly in wax paper, then plastic wrap, getting as tight a seal as possible. A great way to use up leftover salmon. All you'd need to prepare is the simple napa cabbage slaw and the easy yogurt dressing. The pan roasted corn makes for a delicious 'extra' but is completely optional. 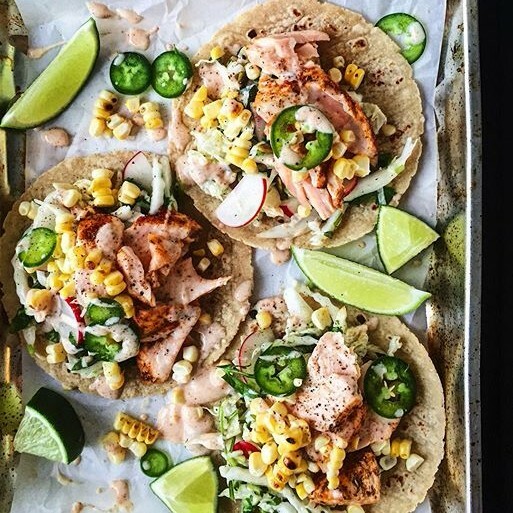 Feel free to top these tacos however you like best, even a few slices of avocado and a dollop of salsa works! Feedfeed Tip Turn leftover corn tortillas into chips using our simple recipe. Get a video tutorial here. 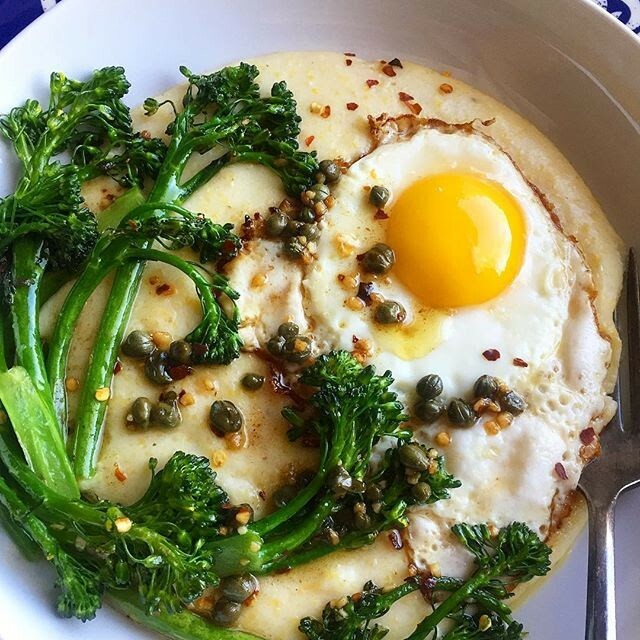 Break out the leftover broccolini for these comforting breakfast (or lunch or dinner) bowls! 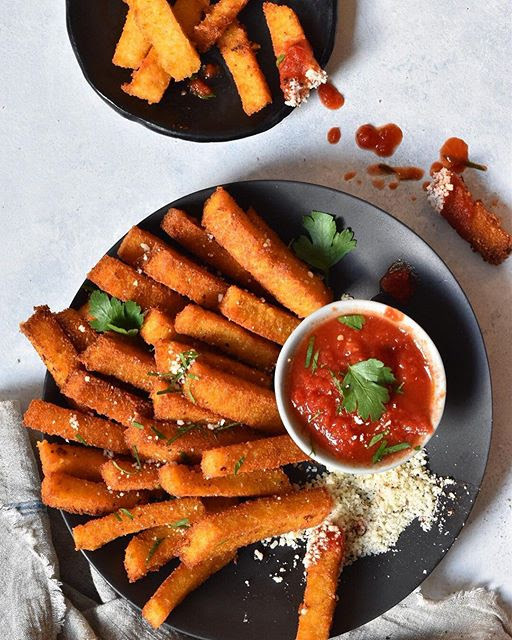 Be sure to double up on the polenta; it's great leftover or transformed into crispy fries (see below)! 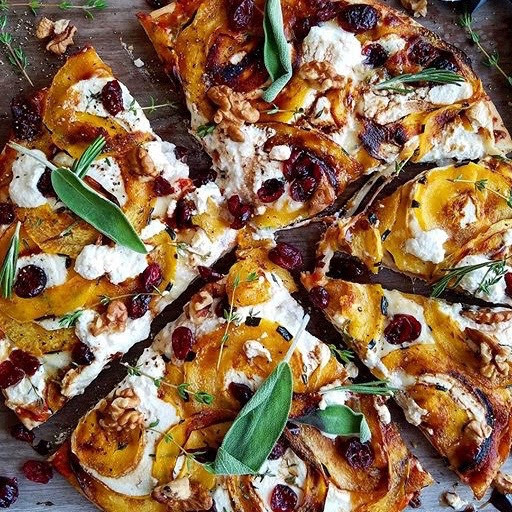 Roast the entire Kabocha squash so you can use the leftovers on the pizza to the right. This recipe calls for roasted delicata squash, but any winter squash will do. 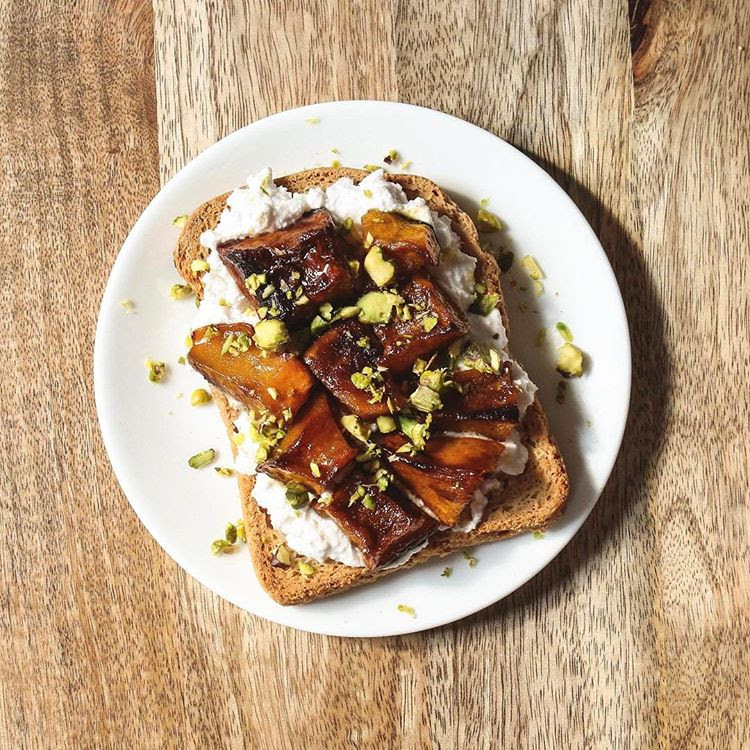 Feedfeed Tip To save time, roast winter squash in the skin.When the flesh is tender, you can easily peel the skin off and chop it into cubes. Watch Jill of @feedtheswimmers make these addicting fries on her FeedfeedTV Show Fresh From the Markets here. 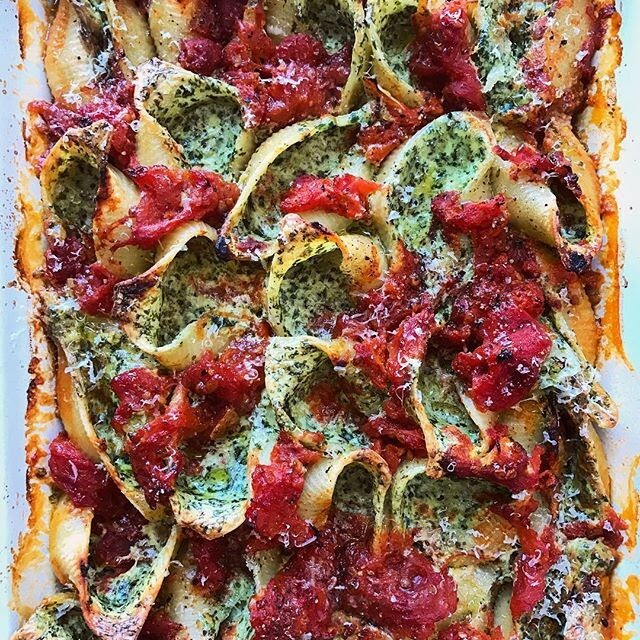 The perfect weekend snack and a great way to repurpose leftover polenta! 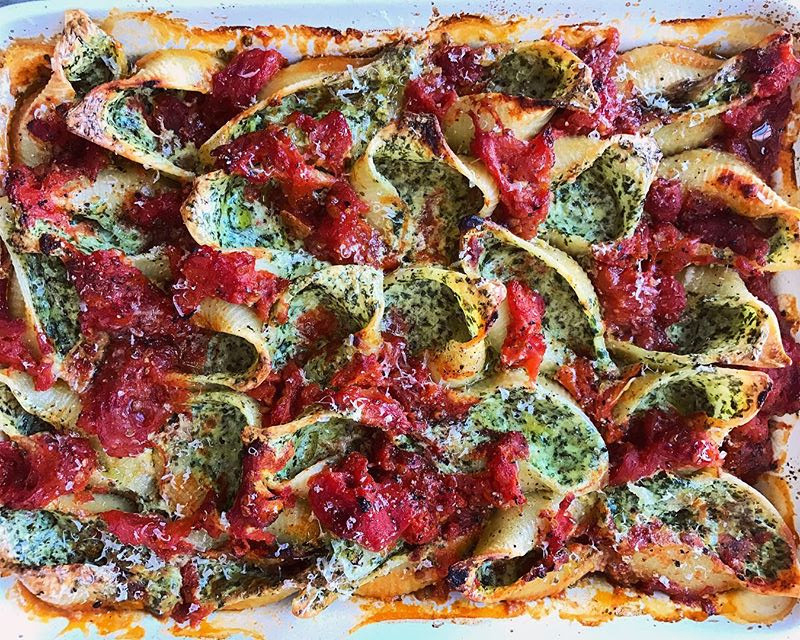 Feedfeed Tip Polenta is pretty much a blank canvas. Feel free to experiment by switching up the liquid you use to cook it. Although water is traditional (and really lets the flavor of the corn shine), you could use stock, milk or even coconut milk to vary the flavor and richness. Also, although it's best to keep a close eye on it, polenta does not need to be stirred constantly, just enough to keep it from sticking and burning on the bottom of the pan.